Eduardo Monteiro is a Brazilian Jiu Jitsu black belt under Guilherme “Caju” Rocha from Gracie Fortaleza and a strong competitor in the North-East region of Brazil, an area that has brought several important fighters such as Fredson Alves, Daniel Beleza and Jair Lourenço. 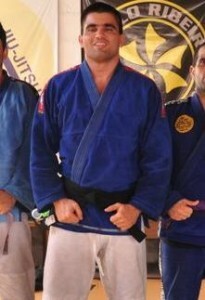 Eduardo Monteiro was also named “Fighter to Watch for 2010” by BJJ website Meia Guarda. Nickname: “Dolph Lundgren” the name came up as a joke, because Eduardo’s boxing coach thought he resembled the Swedish actor (famous for his Ivan Drago role in Rocky IV). Eduardo Monteiro was born on the 14th of March, 1978 in Fortaleza, Brazil. 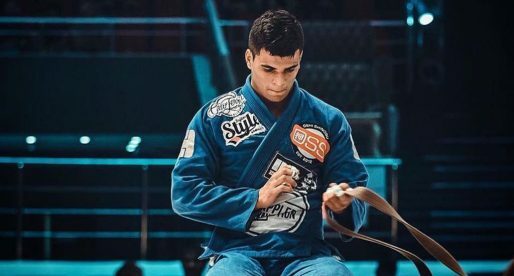 He decided to start training Jiu Jitsu after he had a scuffle with a cousin (who was a good 20kg/44lbs lighter) and lost. He was intrigued with what his cousin had used to defeat him and decided to learn this style. He was 18 years old when he joined Eduardo Rocha’s gym. 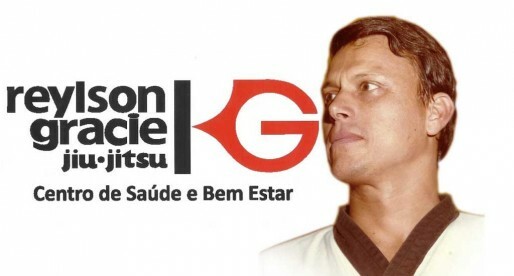 He progressed through the ranks with Eduardo Rocha, until he received his brown belt, he then started being taught by Rocha’s brother, Guilherme also known as “Caju”, it was Caju that awarded Monteiro his black belt on the 20th of December 2006. 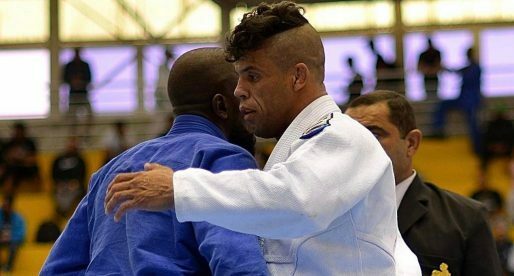 In 2000 Eduardo entered university; there he started practicing Judo, earning a scholarship to fight for the university in Judo competitions.